The QR codes are places across the city which allow visitors to simply scan QR codesand get information from the linked Wikipedia article. 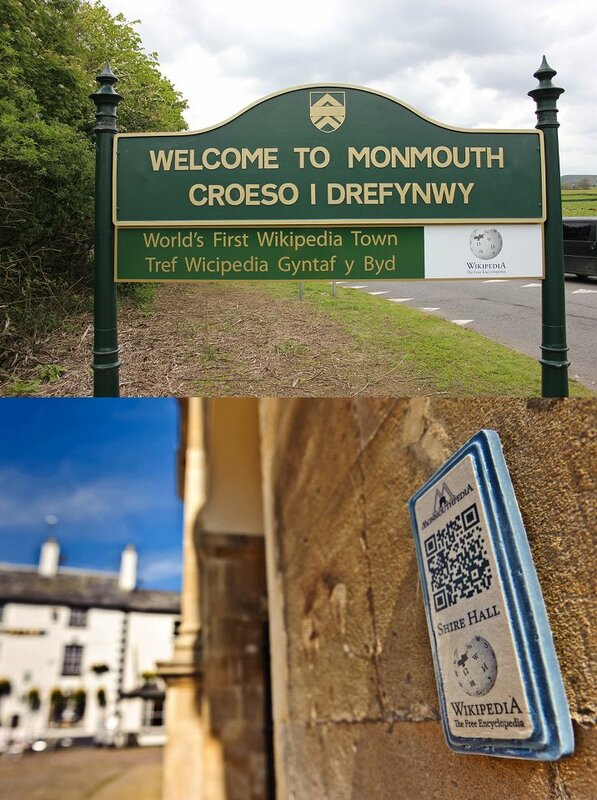 A special service called QRpedia allow visitors to scan QR codes all over the city that link directly to the Wikipedia article in their own language. QR codes are the new standardized way to provide a huge amount of information, easily scanned by many free QR code scanning software and freely available smartphone apps, which allow mobile usersto directly get detailed information from scanning the code and visiting the website without typing the url (Remember the Facebook roof QR code!) The project is powered by hundreds of Wikipedia voluntary contributors who continue to add Wikipedia articles and videos making Monmouthpedia possible. Articles have geotags allowing users a virtual tour of Monmouth using Wikipedia layer of Google Street View. It’s just a beginning Monmouthpedia is just a prototype new concept which provides updated information about any area in any language, that has helped create the World’s First Wikipedia Town. In fact the implications of this are manifold and this is just the beginning. I expect many such projects to start in small localities, markets,and small neighbourhoods which will redefine the way we use Wikipedia.